2. 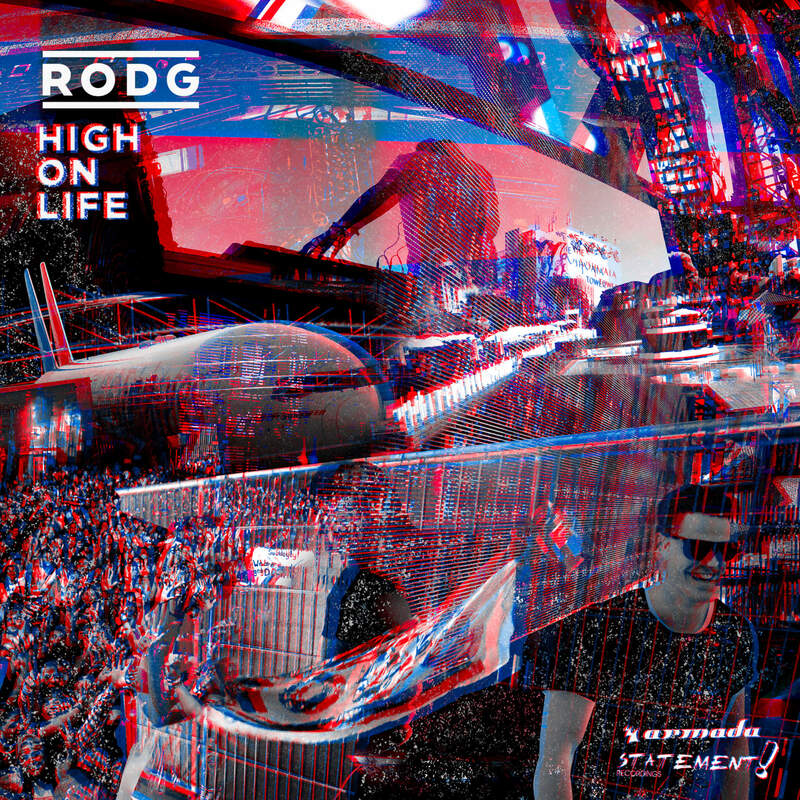 Your name appeared in the spot lights yet again, with the release of your very first album “High On Life,” released on Armada Music, which is an amazing project from it’s start to the end. What is the feedback you are getting so far ? Rodg: Feedback so far is really good! The feedback that you’ll hear when the album releases is what scared me a bit I have to say. But people really seem to like it, so I’m happy. 3. The very first track of the album “Parachute” along side Manu Zain is a pure Chillout; is this the new sound of Rodg or just something in the making ? Rodg: Well as you might have noticed, I’ve done some chill in the past so it’s definitely not “new”. You know I like making music and an album like this gives me the freedom to release records that might not fit my DJ sets. That’s why you find more experimental records like Parachute, Islands, A Syllable and Dream on the album. 4. We are all aware that you are one of the Armada’s best kept secret, but what took so long in order to release your album after a long time within EDM (Electronic Dance Music) and EMI (Electronic Music Industry) ? Rodg: Well I don’t think it took ages for me to come with an album… I think I’m still very early in my career to come with an album. That also gave me the doubt wether to come or not to come with an album at all. 5. Armin van Buuren is advertising you as “Best Producer of 2016.” Having said that, we know how picky Armin can be. How do you feel about it ? Rodg: Yeah I can’t say I feel bad about that of course haha. No but seriously, that’s amazing. Been following Armin as a huge example and inspirational source for years, and getting that feedback on your own music is amazing. 6. In terms of your album’s vast genres and sub-genres covered, where does your inspiration coming from ? For instance what was in your mind while producing “Flaked” ? Rodg: Yeah where do I get inspiration from… From multiple kind of things, traveling, other music, partying at festivals or clubs myself. It’s about a feeling I’m looking for. A groovy beat with space big leads is definitely where I was looking for while making flaked. Rodg: You are… “Artefact” is released as a single December 17 2015, “Flaked” August 5th 2016. And yeah maybe they sound a bit the same in the beginning, I use that kind of baselines in more records. Might be my style..
8. How long did you spend to create the album ? Rodg: Quite some time, though people have worked on albums for years so, but I think all together it took me at least a year. 9. How was is to work with Ruben de Ronde on “Leave The Light On” and if there’s another project such as this in the pipeline ? 10. Should we expect a remixed version of the album in the near future ? Rodg: We’re working on some remixes for some tracks, but a remixed version of the whole album is not in our plans.